Alexander Armstrong is best known for being one half of comedy duo Armstrong and Miller. Born in Rothbury, Northumberland, Armstrong studied at Trinity College, Cambridge, where he was a member of The Cambridge Footlights. He met his comedy partner Ben Miller in 1991 whilst performing at London’s only sketch club TBA at the Gate Theatre in Notting Hill. The duo began performing together in 1993 and three years later they were nominated for a Perrier Comedy Award. After guest appearances on French & Saunders, Smith & Jones and Harry Enfield & Chums, they got their big break on Channel 4’s Saturday Live. This led to their own show on Paramount TV and then Channel 4 which ran for four series. After a break, Armstrong and Miller re-united for a one-off charity gig in London at The Groucho Club in 2005, which reignited their partnership, and later led to their prime-time BBC One show. As an actor, Alexander has appeared in many TV shows such as Beast, Mutual Friends, hospital sitcom TLC, Life Begins, Mutual Friends and Hunderby. As a host/presenter, he is best known for presenting ‘Pointless‘ and his many guest appearances on ‘Have I Got News For You‘. 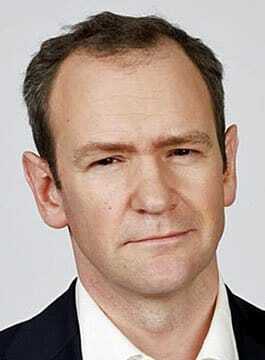 Alexander Armstrong is available as an awards host and after-dinner speaker.